Posted on July 25, 2017 at 12:29 am. 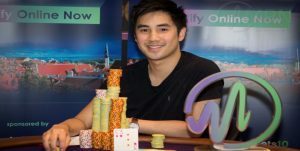 The winner has been crowned in the MPN Poker Tour Main Event in Manchester, with 27-year-old Tim Chung taking out the title as he beat nine other hopefuls in the fastest final table ever seen on the MPN Poker Tour. The event took place in Manchester’s Grosvenor Casino during the 22nd and 23rd of July, with the Main Event promising a guaranteed prize pool of £150,000. 288 players entered the tournament, busting their way through until the numbers whittled away to the final nine. Chung took less than six hours to win the final, climbing from his short-stack to push big chip leaders Yiannia Liperis and Sebastian Gruszczynski out of the way in the process. The MPN Poker Tour is operated by the Microgaming Poker Network and powered exclusively by Microgaming, one of the leading developers of online casino software in the world. The Poker Tour has been running since 2014, with the aim of creating a “fun, friendly and affordable” poker tournament that encourages players to travel to new destinations, enjoy the nightlife and meet like-minded poker players. The MPN aims to be affordable enough so that tournaments aren’t just reserved for poker pros, but not too cheap that the prizes aren’t worth winning. The result is a laid-back event where people come to socialise, party and still play some serious poker, with the possibility of walking away with some tasty cash prizes. The next MPN Poker Tour is running from October 19th to 22nd at Olympic Park Casino in Tallinn, Estonia with a guaranteed prize pool of €150,000 in the Main Event. If you would like to qualify for the MPN poker tour, you can sign up for an account online and play with any of the participating Microgaming online poker rooms – we recommend 32Red which offers a comprehensive online casino as well as the poker network. You can buy directly into the MPN tournaments, or play real money poker games from as little as $1 to win your way through the MPN satellite system.